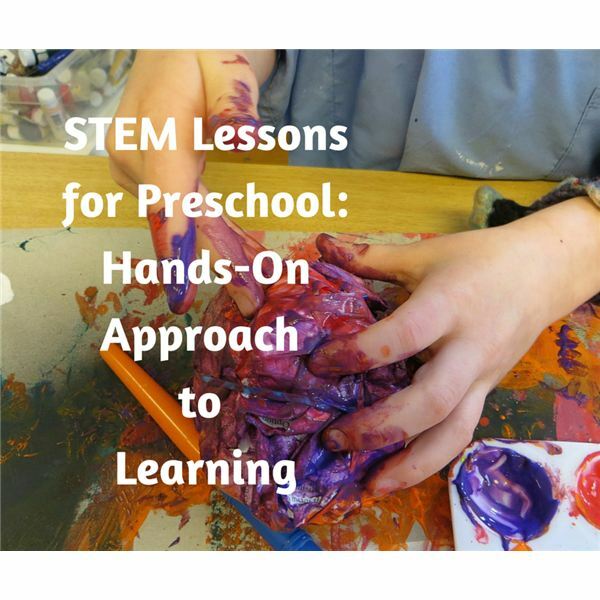 In preschool and primary grade classes, STEM activities encourage experiential learning. The teacher should always ask as many open-ended questions as he or she can, and should encourage students to ask open-ended questions. Teaching students to think about bigger ideas or patterns is always a challenge, but with open-ended questions, students learn to observe the world around them. The benefit to these questions is that there is no wrong answer and as such, students gain confidence in themselves. No teacher has to restructure his or her classroom to make it a STEM classroom. One of the best features about STEM-based learning is that because it is so hands on and creative teachers can easily incorporate it into most pre-established classroom routines. STEM teaches children to figure out new ways of doing things. Even in preschool classrooms, this happens daily as students learn to play and interact with each other. As the teacher, the more you observe student behavior in your classroom, especially how students interact with the classroom world, the more great ideas you will get for STEM-based lessons and activities. Open ended questions encourage STEM learning. Make a “Game of What” poster to display in your classroom setting. The poster should contain all of the questions below. What did you see happen? What things do you notice about ___? What is another way to do this? What do you think caused ___? What do you think ___ might do? What might happen if we ___? Use at least two of these questions daily and teach students to ask these questions of each other! You’ll be amazed at how much they learn! Our first game is entitled “What’s on My Plate?" and has a STEM science focus. Give each student a white, dinner-sized paper plate and a small white dessert plate. Have a brief class conversation, asking what are “Everyday Foods," such as milk, bread, fruit and cheese and what are “Sometimes Foods," such as ice cream, cake or chips. Ask what students like to eat for breakfast or as a special snack. Have students draw a plate of “Everyday food" on their dinner plates using crayons. Have students draw a picture of their special snack food on their dessert plates. 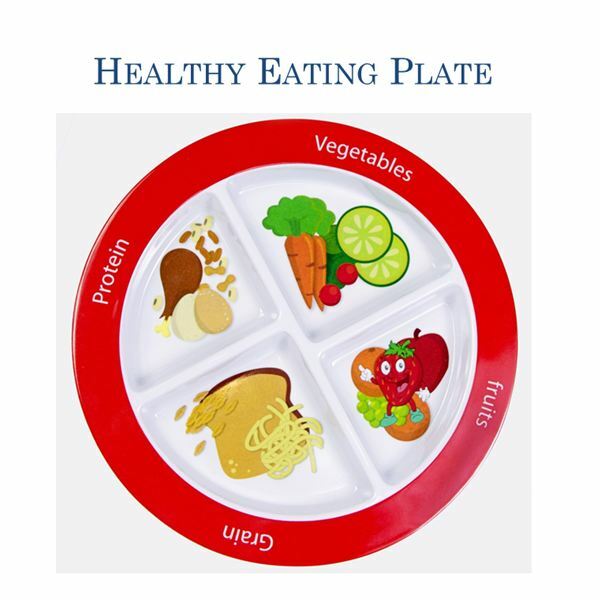 Display plates on a dinner table themed bulletin board to remind students about nutrition habits. 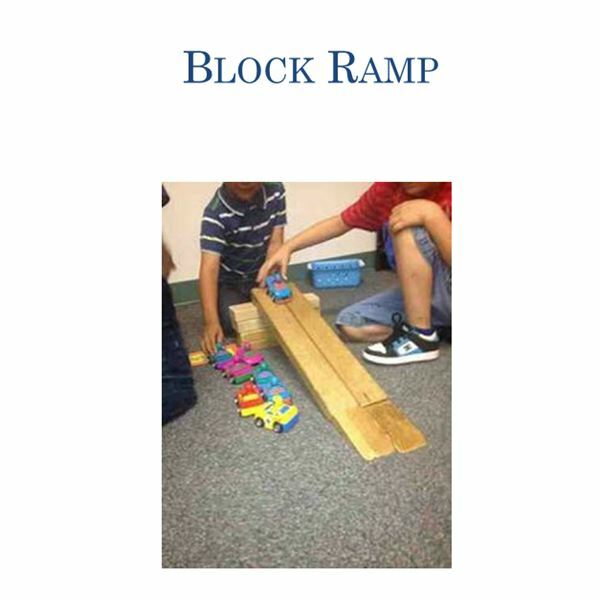 Play a STEM engineering game centered on ramps. Line your students up in pairs of two and take them for a walk around the school. Ask them to look for places where there are stairs and where there are ramps. Come back to the classroom and show them a rolling cart or chair. Ask the students what they would have to do to take this chair up a set of stairs. Ask what they would have to do to take this chair on a ramp. Then, give each pair of students a bag of blocks and a small toy car. Have them build a ramp out of the blocks that the toy car can roll down. Try a technology-based application centered on dinosaurs and coding. Daisy the Dinosaur is an early coding app designed for iPads. By dragging and dropping simple directions, such as “jump," “spin," “repeat five" and so on, students can make the tiny dinosaur move across the screen. Once they learn the control board, they can make her do all sorts of tricks. The free app is a great early introduction to coding technology for students. Finally, get creative with STEM math by making noodle necklaces. 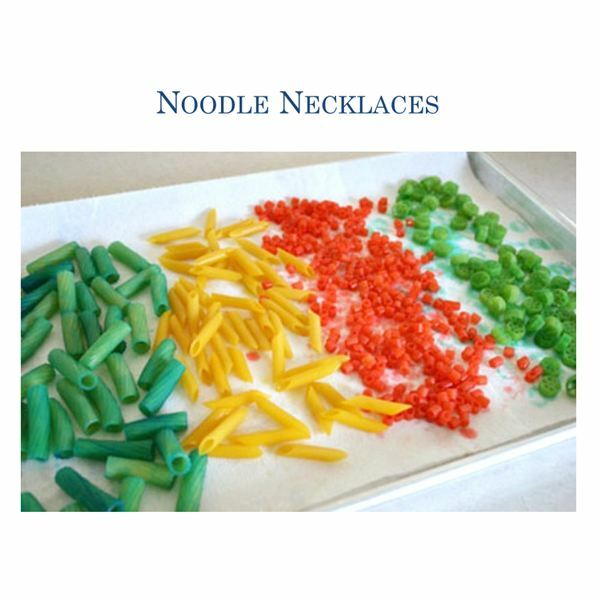 This project is perfect during the holiday season or around Mother’s Day because students can create a noodle necklace for their mother or grandmother. Put noodles of different types in bowls (they must be tubular noodles). Give each student an image of a pattern to follow, such as two ziti noodles, then one elbow noodle and so on. Have students string the noodles on a colorful piece of yarn, following the pattern. Tie yarn at ends and help students wrap for a gift.